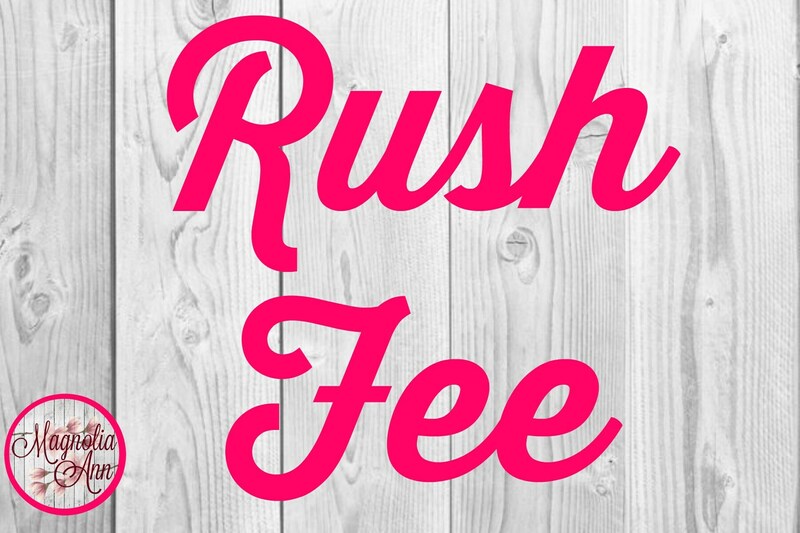 Rush Fee-Order Ships Within 48 Hours! All orders are typically shipped within 5-7 business days from date of purchase. Adding this feature to your cart will have your order shipped within 48 hours. DO NOT PURCHASE THIS ITEM WITHOUT TALKING TO US FIRST AND CONFIRMING WE CAN PROCESS YOUR ORDER. ****This is not a shipping cost! This is simply bumping your order to the front of the line, and will be shipped within 48 hours. You must still choose the correct shipping method on the item(s) you are purchasing based on how quickly you need them. We make each of our shirts in our Marietta, GA studio with a professional grade heat press machine. Wash inside out and hang or line dry to keep the design vibrant and long lasting for years.